Tina looked gorgeous in her pink overlaid princess Vera Wang gown. She actually made the hangers, sashes and flower girl dresses herself. The bridesmaids dresses were also Vera and J Crew. Jordan and the boys wore charcoal grey suits with vests and pink ties. The rain cleared up just in time for their ceremony on the beach. 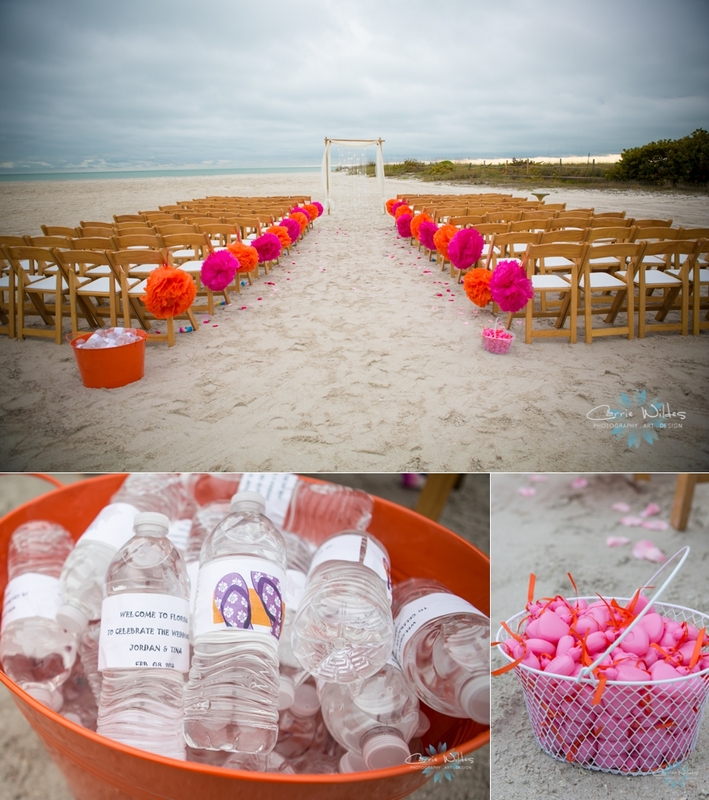 They had bubbles, flip flops, and beach balls for their guests. The feel was romantic and formal but with lots of fun and personal aspects. The color just looked amazing! 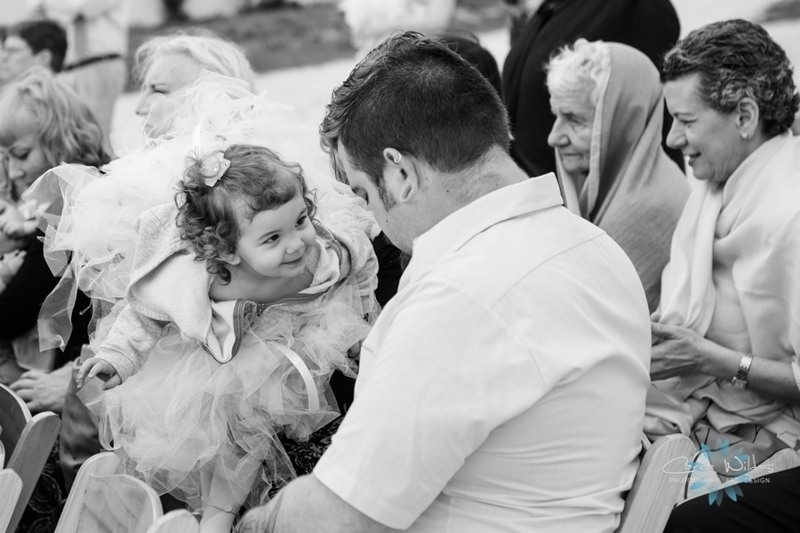 Her reception was filled with lots of love and laughter! 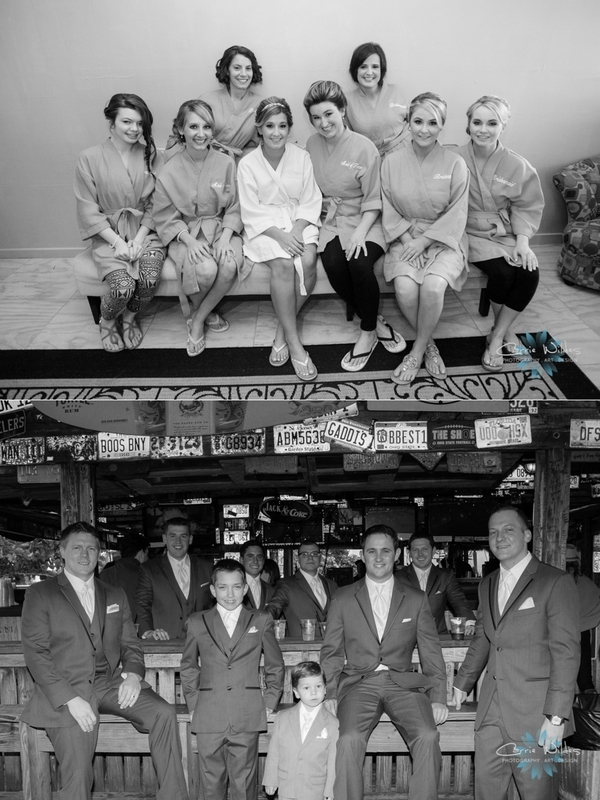 They fed each other gelato instead of cake:-) Tina and Jordan met at Ohio State University and it was destination St. Pete beach for all their guests. They ended the night with a Chinese lantern send off. 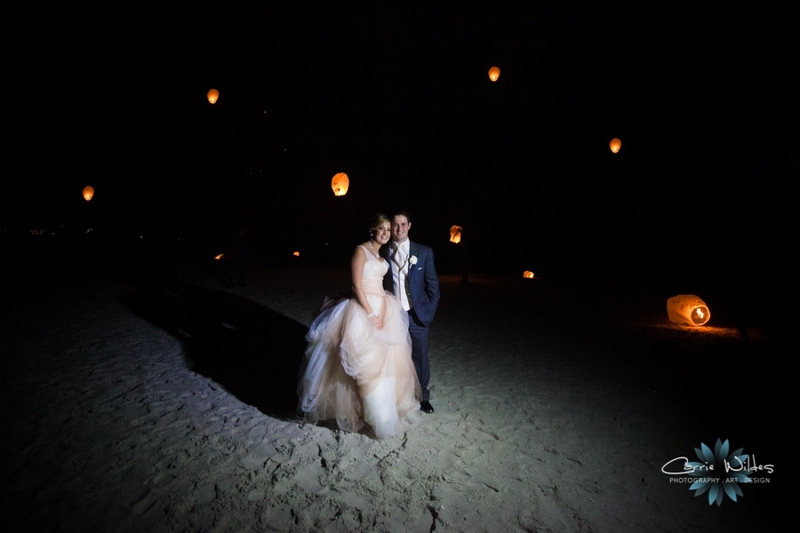 It was a little windy and I almost caught my hair on fire while I was shooting, but i survived:-) The lanterns ended up being really beautiful and provided and awesome backdrop for their final photo of the night. Congrats Tina and Jordan!! !